We all have a favorite t-shirt. If you’re lucky enough to work at a t-shirt company (wink, wink) where the dress code is so casual you actually get to wear t-shirts to work, you probably have several favorites. You may also have an over abundance of these cotton casuals that aren’t serving their intended duty. They have too much life to be turned into a dust rag, but don’t make quite the cut for public consumption. 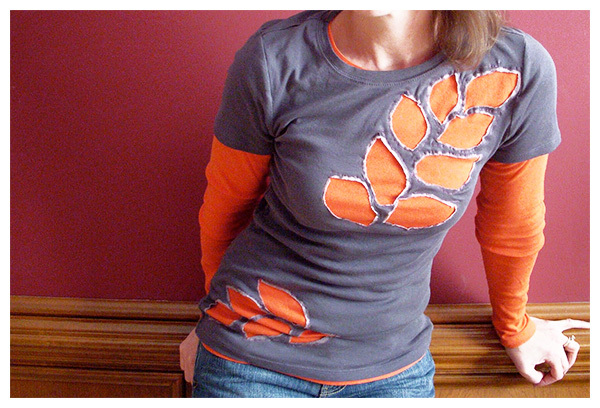 Here are several ways to refashion those surplus t-shirts and restore their honor. 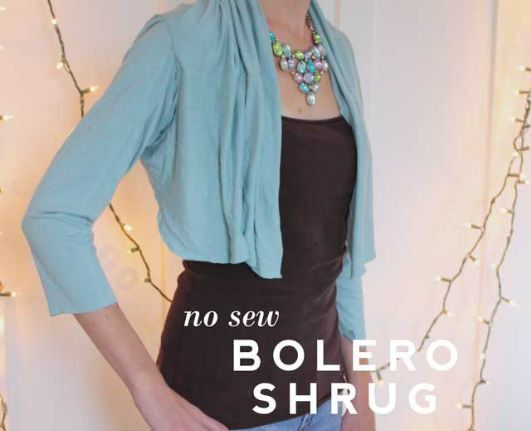 Add some extra color and coverage to that summer dress with this simply romantic t-shirt shrug. Short sleeve or long sleeve, you can use most any t-shirt to add a pop of color to your outfit. I used to think aprons were a relic of the past, until I actually began doing a fair amount of entertaining and the associated cooking. 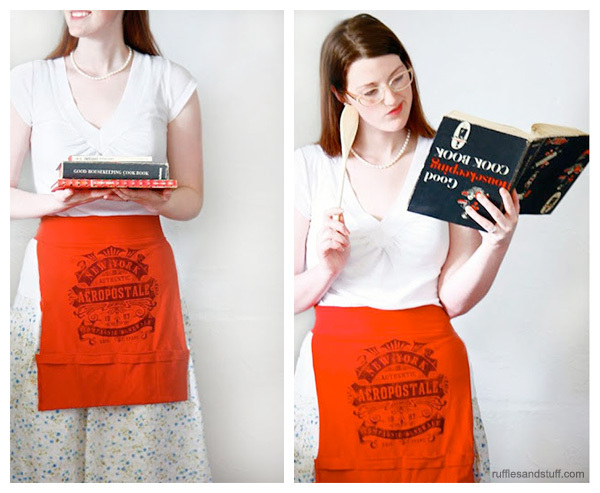 These easy peesy t-shirt aprons will help keep your party clothes clean while you finish up those last minute preps. Guys, you can recycle one of your old football t-shirts to make an apron worthy of gridiron grilling. This DIY tutorial will show you how to transform an old pair of broken or uncomfortable flip-flops into a stylish pair of comfortable sandals using t-shirt fabric. If you’ve suffered any sandle “blow-outs” this summer where the strap came loose from the sole, you could certainly restrap the busted sandles with colorful fabric for a completely new look. All you need is a bleach pen, some stencils and a t-shirt. 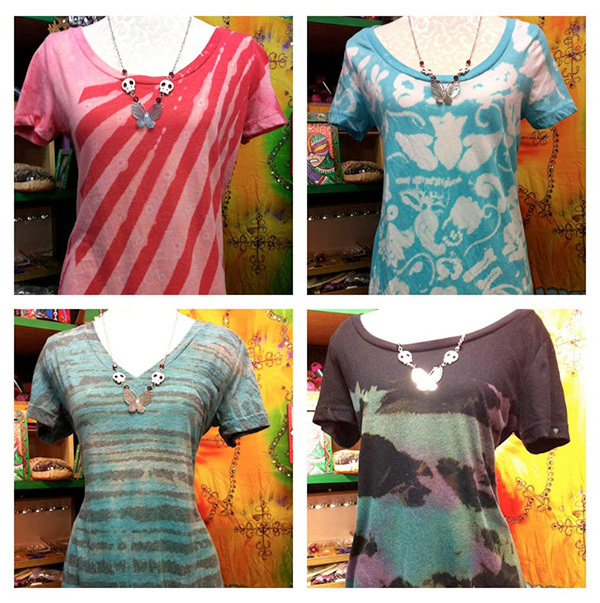 Get ready to wreck your way to an artful and edgy top. Make a creative, one-of-a-kind gift for a friend! The bleach pen technique can be used on any cotton item that is already dyed – think bandandas, hats or even shoes! Who says yoga pants have to be bland? Turn a couple of your favorite graphic tees into personalized pair of comfy yoga pants. 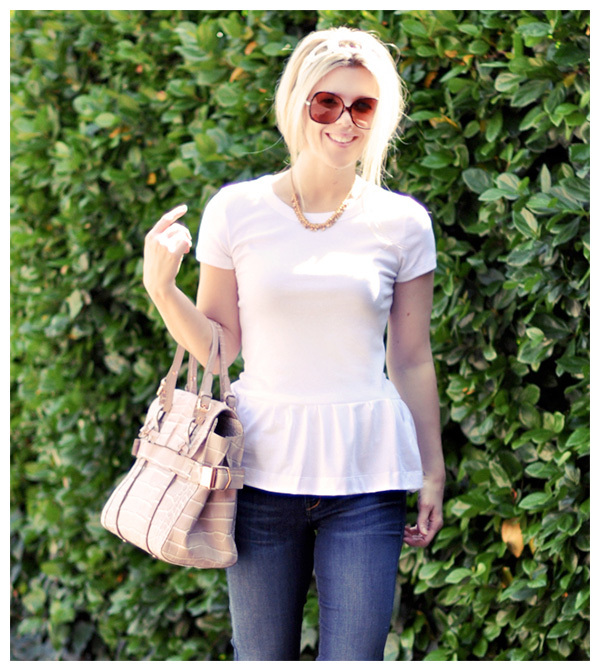 Add a bit of stylish flair and literal flare to one of your tees with this DIY peplum t-shirt. This is a great DIY project if you want to transform a plain t-shirt into something a bit more trendy. Enter a new dimension of depth! Create your own layered tee by “cutting away” the fabric on top to “reveal” the contrasting fabric underneath. We hope you’ve been inspired to try one of these projects for yourself! Do you have any t-shirt restyling tips for us? Let us know in the comments below!